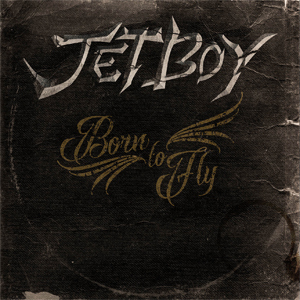 JETBOY have finally unleashed their new album, Born To Fly via Frontiers Music Srl. Additionally, the band has revealed a new video for the song "Brokenhearted Daydream". Watch it on KNAC.COM HERE. Founded in 1983 by guitarists Billy Rowe and Fernie Rod, JETBOY continues to crank out their brand of rock n' roll in the 21st century with the same passion that has existed from the beginning. And rock ‘n roll is what you’ll get on their upcoming new album Born To Fly. This new album – put together by the band’s core of guitarists Billy Rowe, Fernie Rod and vocalist Mickey Finn, alongside former FASTER PUSSYCAT bassist Eric Stacy and drummer Al Serrato – is the first fully-fledged set of new material from JETBOY since 1990. Born To Fly is a fine rock record by any measure, hinting back to the band’s ‘80s sound and 70’s influences, while adding 30 years more experience to the grooves. JETBOY is ready to fly again. "The Way That You Move Me"